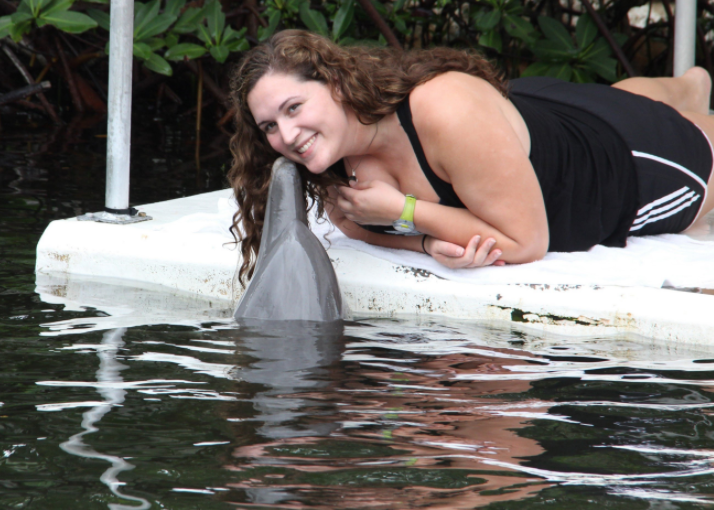 The wild dolphin encounters will be a magical experience. 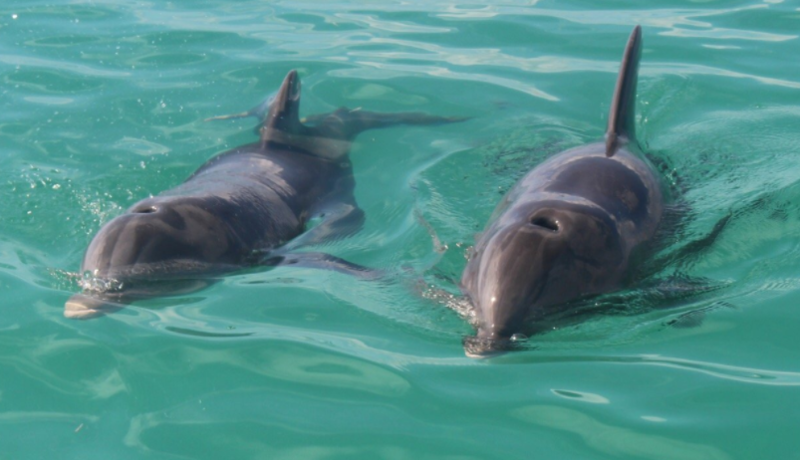 You will have an opportunity to observe the wild bottlenose dolphins fishing, loving, playing, resting, traveling and teaching each other in waters of Key West. Each journey to the Dolphin’s playground can be so different and can touch your hearts as these magnificent creatures perform on their own terms. You will be rewarded with the opportunity to observe them in their home. During your wild dolphin trip you may have an opportunity to see Spotted Eagle Rays, Turtles, Tarpon, and an array of schools of bait fish can capture your attention. A fun afternoon for the whole family. Each boat trip and tour is 4 hours long. Prescription masks available/ no additional charge. 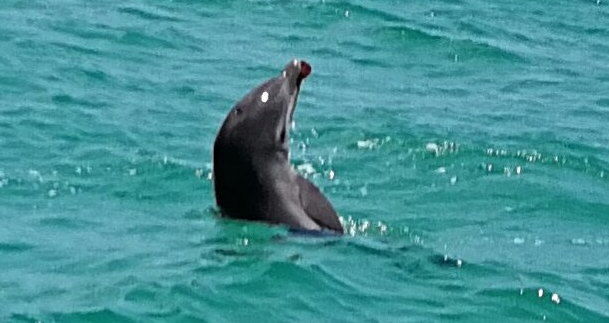 Personal photo opportunities of the wild dolphins. The time slots available includes a guaranteed 4 hour guided boat trip to the dolphin playground, snorkeling on a reef, environmental tour, and snacks and beverages. This is a 1/2 day of activities. While dolphin encounters and sightings occur on nearly every trip; however, they are not 100% guaranteed. Encounters with the dolphins depends on the nature of their activity, weather and sea conditions. Does your program go on Rain or Shine? Yes, this program goes on Rain or Shine. In the event that the weather conditions are not optimal, we will do the best of our ability/knowledge to inform you in advance. In the event that the Wild Dolphin Trip cancels your excursion due to weather or sea conditions such as high winds, heavy rains or lightening/thunder storms, you will not be charged and given a 100% refund. We will do our best to reschedule your outing. What kind of boat/vessel do you take the trip with? A bathing suit or swimming attire is all you need. What is the best season to interact with the dolphins? The wild dolphin trips operate year around. Optimal conditions are April through October due to consistently calmer seas, warmer water and better visibility. However, the trips during the winter months provide a wonderful experience as well. I have not snorkeled before – can I participate? If you can swim and are comfortable in the water, you can ask and be given a snorkeling lesson by the Boat Captain. You will be provided top of the line snorkel equipment for both children and adults. There are a variety of mask styles and sizes, state of the art Force Fins and Oceanmaster dry snorkels. Snorkel flotation vests are available. Noodles are available for relaxing and floating on the surface. Many guests choose to stay on the boat and simply observe and have a rewarding journey. How far/how long to the dolphins playground? Each trip is different and depends on weather conditions and where the dolphins are most likely to be. Often, you will encounter dolphins along the way to one of the playgrounds. Typically travel time to one of the dolphin areas is 30 to 45 minutes. Seasickness is very unlikely aboard our vessel. Due to the fact that we travel through the back country we are very seldom in rough water. The dolphins generally stay in the shallow waters near the islands. If you are highly prone to motion sickness you may want to take an over-the-counter medication such as Trip-Tone or Dramamine. Sea Bands and ginger offer a natural alternative to medications. 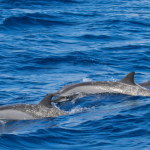 Dolphin encounters typically occur in water averaging depths of 5 to 20 feet. 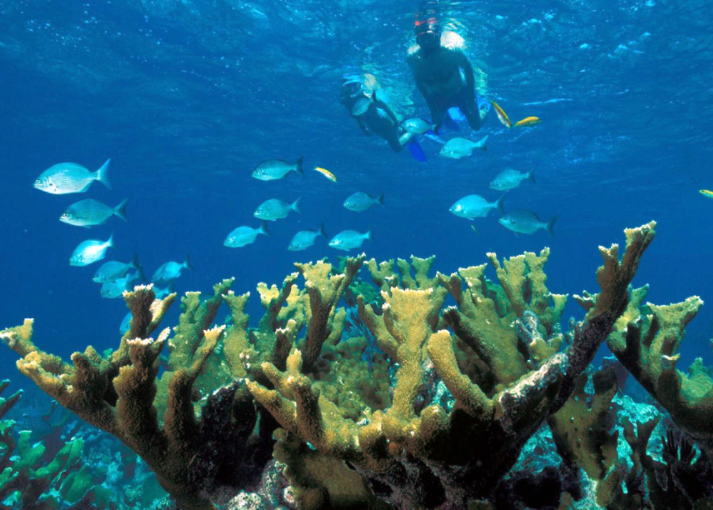 The snorkel sites average 5 to 15 feet in depth. There are also several great sites with shallow sandbars about 3 to 5 feet in depth. These sites are ideal for children, novice swimmers and non-swimmers. Where do we go to see the dolphins and snorkel? The course of your dolphin excursion varies according to weather and sea conditions. Years of the boat captain experience direct the days route. The Boat Captain are intimately familiar with the travel paths and home/ground locations of the dolphins. Your journey typically takes you into the coastal Atlantic waters, the Gulf of Mexico and the back country waters around Key West. Your trip seldom ventures far offshore as this is not where the dolphins make their home. Will children enjoy the trip? The trip is a wonderful experience for children of all ages. We highly recommend a private charter for your group if you have a toddler or infant. Coast Guard regulations require children 6 years of age and younger to wear a life preserver throughout the trip which will be provided. Infants are required to wear a life preserver appropriate for their size and weight and will be provided for you. A snorkel liability release must be signed by a parent or guardian if children 16 years of age and under are not accompanied by their parents or guardian during this trip. 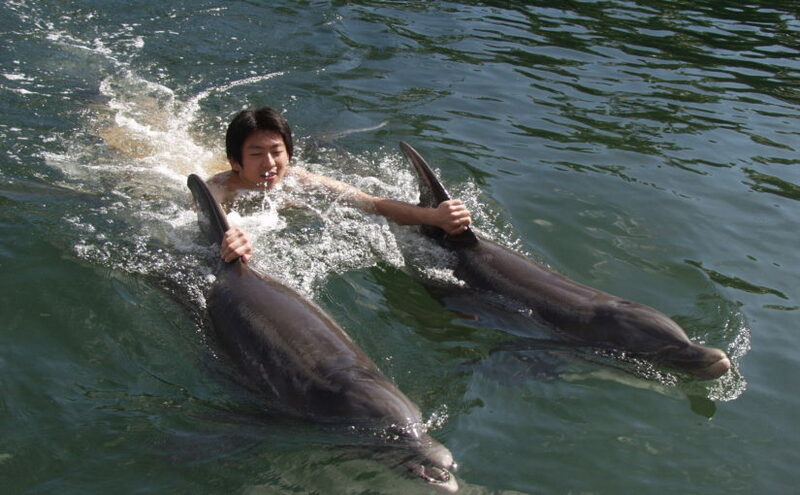 Will I have a chance to swim with the wild dolphins? This program is an observation program only and you will not be able to swim with the wild dolphins. You will have a special opportunity to observe, interact and learn about the wild dolphins from the deck of your boat/vessel. 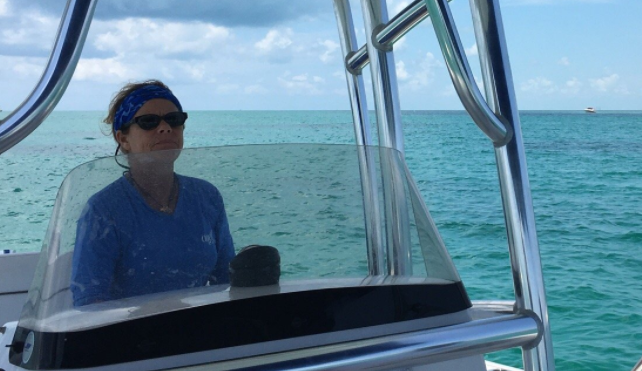 Your Boat Captain is committed to offering you the opportunity to observe and interact with wild dolphins in a highly respectful, non-intrusive manner. All observation & interaction is based on the dolphin activity observed. In the event the dolphins are feeding, sleeping or mating we will observe activity from a respectful, non-disruptive distance. What can I expect during this tour? 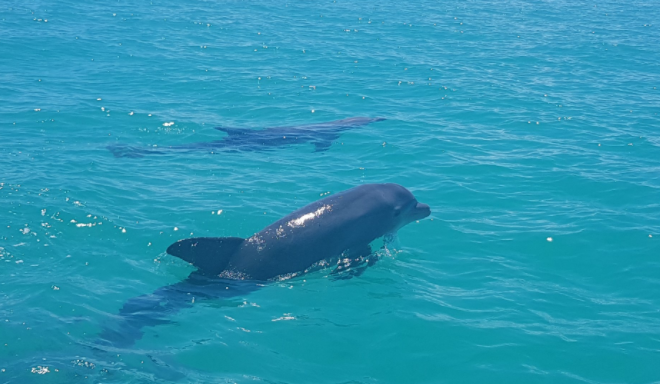 Your wild dolphin journey offers you the opportunity to experience a multitude of activities, observing/interacting/learning firsthand about wild bottlenose dolphins, snorkeling and observing local marine life, touring and learning about the back country mangrove island ecosystem. Will I receive a refund in the unlikely event that we do not encounter dolphins? 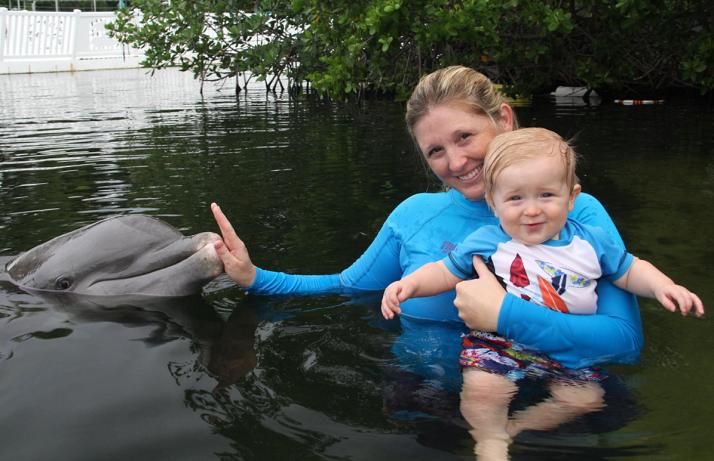 Includes: Wild Dolphin Trip – A 4 hour boat trip with the leader of the Dolphin Alliance of Key West. 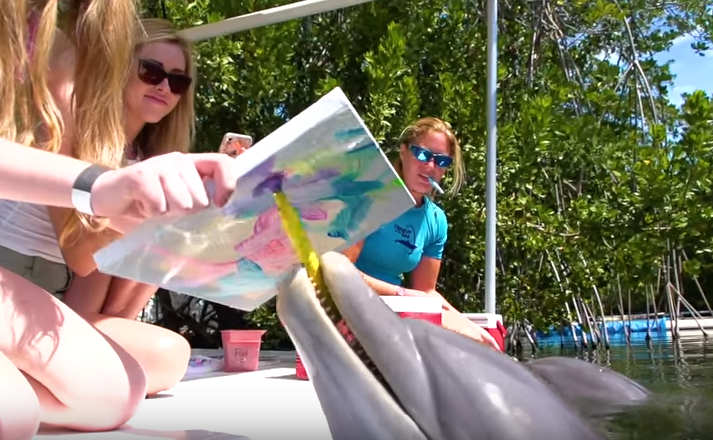 The Dolphin Alliance oversees the well being of the Key West bottlenose dolphins. 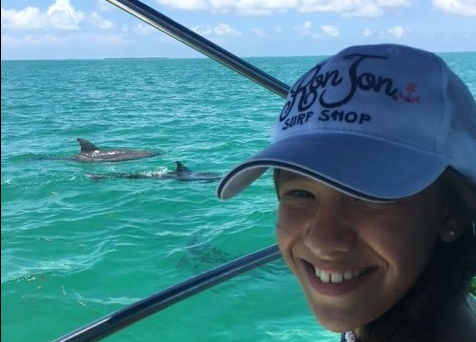 Your Captain will share her knowledge and leadership skills of helping these incredible bottlenose dolphin pods that reside all year long in Key West waters. 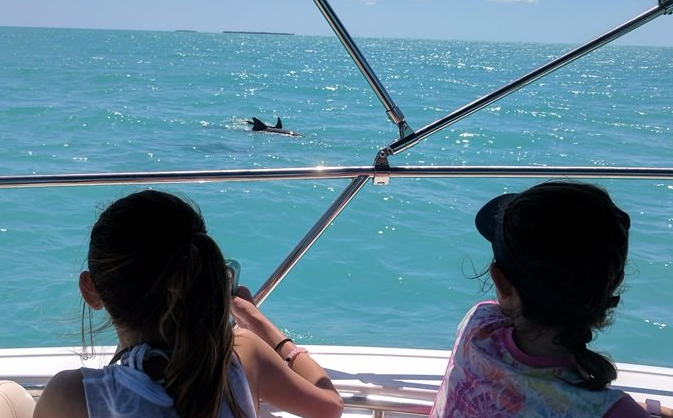 Since in Key West you are not allowed to get in the water with Wild Dolphins, you will get to observe and learn about this local pod of dolphins in their own natural habitat. Book Now!